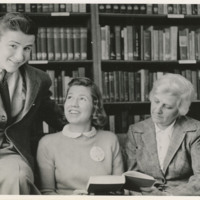 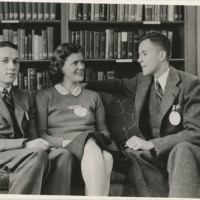 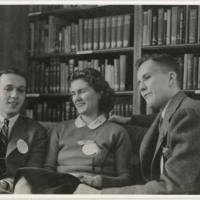 Male student and female student, with older woman, books in shelves in background. 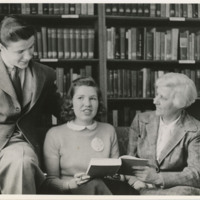 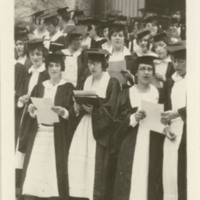 Female student wearing button and reading book. 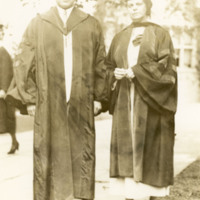 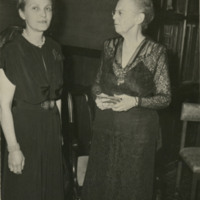 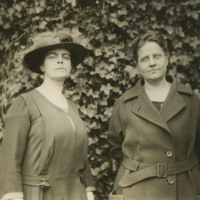 Later photo of Marion Edwards Park in an evening gown and standing next to a woman. 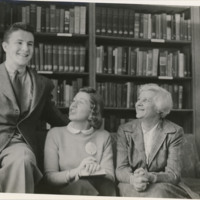 Later photo of Marion Edwards Park seated at a desk next to two women. 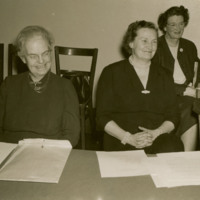 On top of the desk there are papers and folders.